-2 Pcs glass, glass door ESG 8mm security glass. 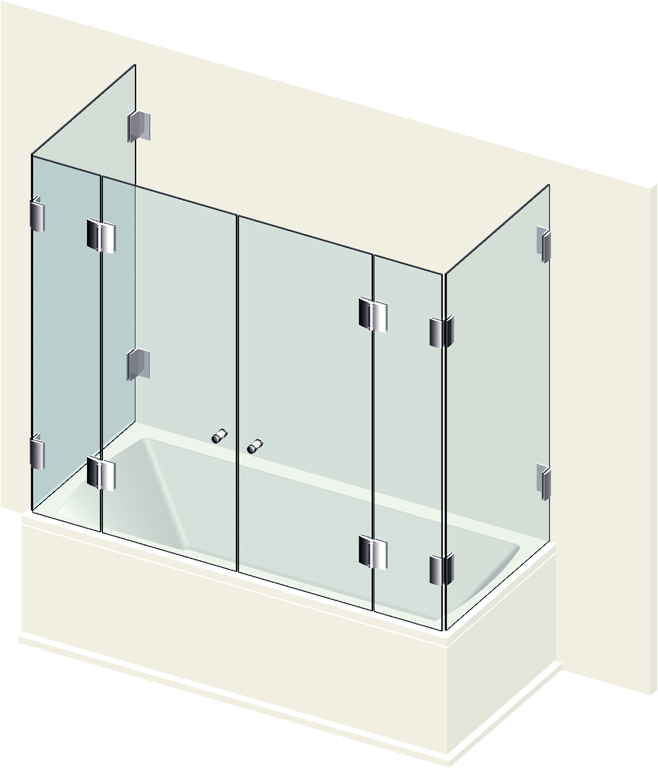 -2 Pcs glass, glass side panel ESG 8mm security glass. -2 Pcs glass, fixed glass ESG 8mm security glass. -4 Pcs glass/glass hinge 180 °, Opening out for 6/8/10mm glass thickness. -4 Pcs glass/wall corner bracket 90 °, for 6/8/10mm glass thickness, wall fixing with slot adjustment and cover plate, continuous seal. -4 Pcs glass/glass corner bracket 90 °, for 6/8/10mm glass thickness.